One drives a red car the other a blue car. That's why I like the new design. The white kind of neutralises the mess made by all the mandatory RB stuff. But that's basically the only and best thing you can do as an RB affiliate. It's sad there's so little room for personalisation. 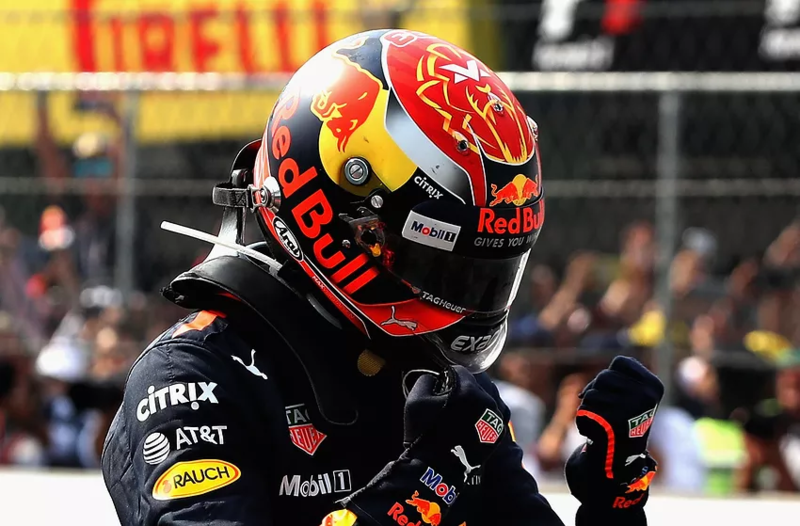 Same thought crossed my mind, but then I realized that if you look really carefully, at the back of Verstappen's helmet there's a small blue triangle with his logo on it. You realize that if Red Bull sees your comment they'll probably consider splashing a massive RED BULL logo on the halo just in case, right? That’s not his actual helmet but not a bad doppelgänger. Edited by Danyy, 05 February 2019 - 14:00. The yellow Austria one was quite nice. The 2016 orange edition in Belgium as well. As for his usual designs, and this one, it's a tad boring. Looks like a total mess to me. I can't even pick out one single elemet in that "design", well apart from the logo. And I have spent sometime looking at it. The only nice thing about it are the colours. Really. Not even the lion. Edited by thegamer23, 05 February 2019 - 15:01. I loved his 2018 Spa helmet, simplistic and it stood out from a mile away. This new one is a mess. 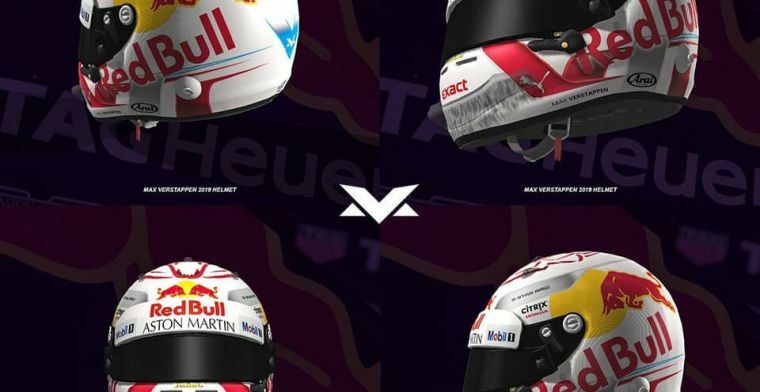 It's only Vettel and Gasly who have decent helmet designs on the grid at the moment IMO. Edited by Alburaq, 05 February 2019 - 15:30. Yes, the green doesn't really fit in. Is the helmet easily recognisable on tv-shots compared to his team mate so that we can see which driver it is? If yes - perfect. Nice, ugly, pretty, elegant.. I couldn't care the least. These god dam go-faster stripes, they absolutely RUIN modern helmet design. Reasons: It's not 'fiddly' with a bunch of competing lines and colors. There are three theme colors to it. Haas Red, Blue and Yellow. The blue gradates from a dark to light version of the same shade, so no problem. The Red and yellow gradate to each other through orange, but because it's a gradation, it's not jarring (Imagine it as three distinct color stripes... EEK! Therefore, the orange doesn't 'read' as a distinct different color of the theme, yet adds detail without being 'fiddly'. With so many helmets over so many decades, it would be tough to do simple colors and designs that do not appear to be ripoffs of prior drivers. But it does show how much Red Bull values its new partnership with Honda though. "So you guys going to let us have some branding on the helmet?" "On the helmet? Ehm... yes?" "Great! So can we, like, have a big Honda logo above the visor like the guys at Mercedes?" "So... that's actually taken... but we'll find a cool spot for you." "Like around the halo? Like Marlboro used to have at Ferrari?" "We were actually thinking of a stamp-sized little square right above our HUGE RED BULL LOGO on the side, right next to our HUGE RED BULL LOGO ABOVE THE VISOR." "Oh well... ok, I guess. Can we at least write Honda under the–"
Edited by VladimirBrown, 05 February 2019 - 17:58. Edited by Jeeves, 05 February 2019 - 20:43. 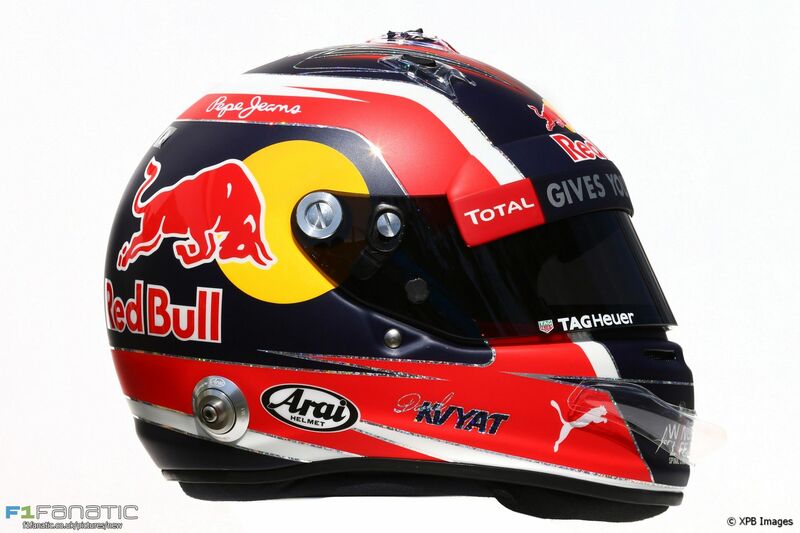 Gasly's helmet is actually a good, simple, clear design despite the Red Bull limitations. 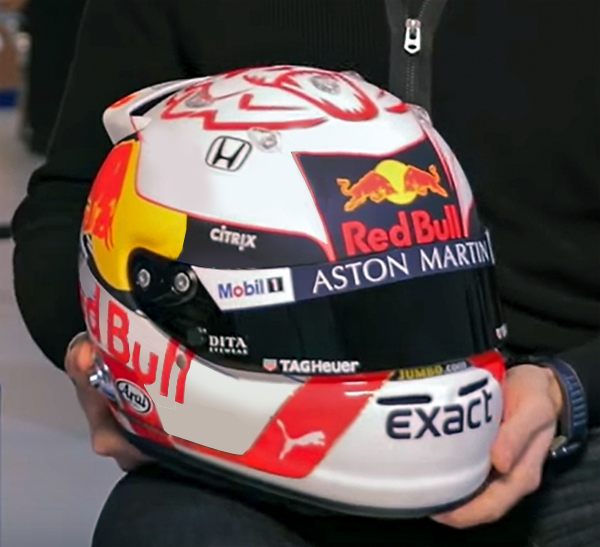 It can even be described concisely (a common complaint of many contemporary designs is that this is difficult): a red front and top and a dark blue back and sides (including Red Bull logos within the latter sections), separated by a white band. Come to think of it, perhaps a helmet design can be considered to be good if it can be described purely using heraldic language. Helmets look a lot different this year without the zylon and the lower brow of the visor gap. So Gasly and Verstappen both have white where the Honda logo is. I still have faith that somehow this will translate onto the livery. I think Gasly actually did a good job, especially considering the nightmare it must be to do something interesting with those absurd Red Bull limitations. There's obviously an idea there and it's easy to remember. It even looks like he asked Sean Bull to come up with a minimalist version of his helmet and used that. Funny that Gasly looks more like the orange theme Verstappen had. I still don't know why he doesn't use his 2017 Spa design for the whole season. But I guess the RB brass doesn't like their logo to be so out of sight. I'll be glad when this fad on 'spikes' dies out.. horrible looking things. Those spikes seem to be hard to get rid off. The metallic and gloss seems a bit out of fashion now in trade of more matte coloring. THIS. It's about the ONLY RB helmet that's ever looked any good. Also beyond me why he would choose this white snoozefest instead! Like I said, the RB logo's don't stand out enough. Also beyond me why he would choose this white snoozefest instead! Seriously? Do you think he has a choice? 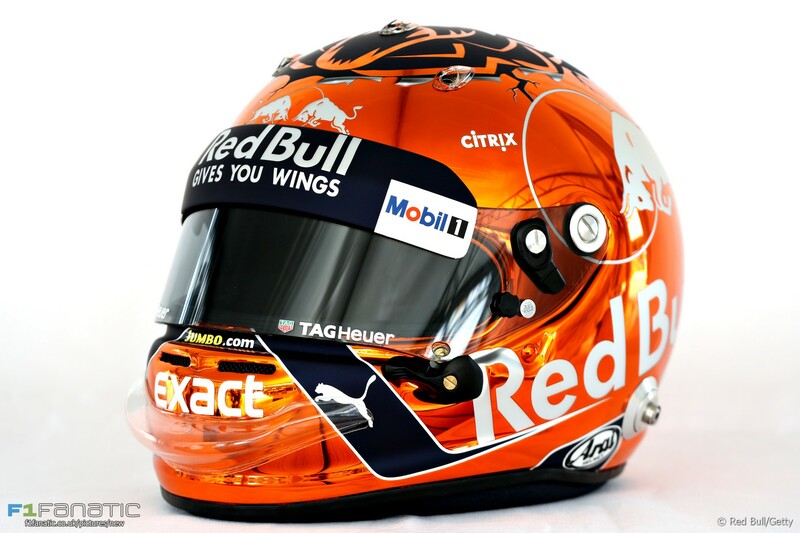 As a Red Bull driver, you have to put the Red Bull logo (in yellow/red) on the side and above the visor. I know they have their guidelines, but everybody has become jaded to these standard RB helmets who all blend together without identity, and they don't stand out in the context of the car livery. This really cool orange helmet would become iconic in no time, much more seen, photographed and talked about, and giving the logo a lot more exposure. It's a marketing opportunity MISSED, if anything. Doesn't the fact that everyone talks about it constantly and posts pictures of it at every opportunity, even though he only wore it for one weekend mean that the marketing opportunity was executed absolutely perfectly? And one other thing to think about... What if Max doesn't actually want to wear an orange helmet every weekend? Can lead a horse to water! The RBR logos on the helmets aren't needed at all, the driver is already sitting in a Red Bull car, so the whole world knows, but Dieter doesn't care I guess. Drivers being photographed outside the car..? Probably they are photographed outside the car even more than inside. What does the billionaire energy drinks magnate Dietrich Mateschitz know about branding and advertising that we don't, right? All we know is that it doesn't lend itself to much freedom for design, although given the mess of most of them that's maybe a good thing! Kind of like Senna and Dumfires in the Lotus. Dumfires' helmet was much more in sync with the car's livery, yet when somebody mentions the black Lotus, it's not the black and gold helmet you immediately think of. Edited by Alburaq, 06 February 2019 - 16:31. Well, if we take this thread, probably 130 of the 145 posts so far have been criticizing the brand, so at least within this somewhat niched environment, the strategy isn't working particularly well. Yet I see people here walking around in Red Bull shirts and jackets. Edited by A3, 06 February 2019 - 17:00. 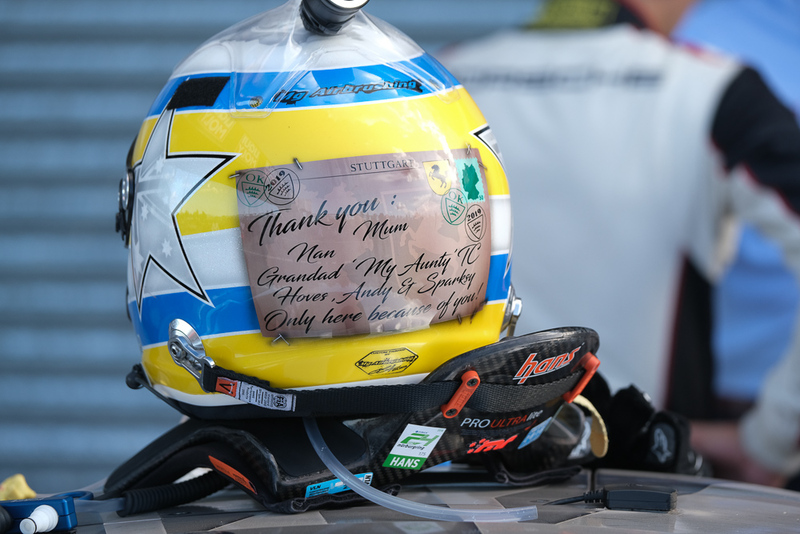 If Dieter wants a mess of helmets, be my guest, I am just happy my favourite driver will never have to wear one. Edited by SonGoku, 06 February 2019 - 18:55. I'm so glad you're happy and that you allow the owner of the fizzy drinks company to keep his branding strategy consistent through all the sports he sponsors. Like it or not, but us talking about it this much means the strategy IS working.